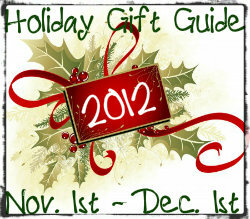 Give the gift that keeps on giving this Christmas with a wonderful DVD cartoon collection! Since he unveiled his unforgettable conniving pigeon who’ll do absolutely anything to drive a bus or eat a hot dog, Emmy Award®-winner and Sesame Street veteran Mo Willems has become one of the most beloved children’s author/illustrators working today. His best-selling books have won dozens of awards and honors, and The New York Times calls his Pigeon “one of this decade’s contributions to the pantheon of great picture book characters.” Now, children can laugh along Scholastic Storybook Treasures™ brings all the authors’ characters to life and together for the very first time in colorfully and whimsically animated video adaptations with MO WILLEM’S PIGEON AND PALS: COMPLETE CARTOON COLLECTION, VOL 1&2. Across two discs and sic stories, Willems’ tales – highlighted by “Don’t Let the Pigeon Drive the Bus!” and “The Pigeon Finds a Hot Dog!” -- jump off the screen in inimitable fashion! Enhanced by Scholastic’s ever-popular read-along function which helps to strengthen early reading skills, the sure-to-be-treasured collection also includes faithful and award-winning adaptations of other Willems’ best-sellers, including “Knuffle Bunny: A Cautionary Tale” (in both English and Spanish) and “Knuffle Bunny Too: A Case of Mistaken Identity”, “Leonardo the Terrible Monster” and “Naked Mole Rat Gets Dressed”. Made all the more enriching and engaging, PIGEON AND PALS also includes a multitude of bonus featurettes, as well as an interview with the author himself! 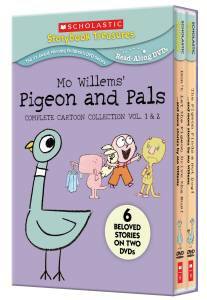 Disclaimer: Scholastic provided the above information and Mo Willem's Pigeon and Pals DVD set for the purpose of hosting a holiday gift guide giveaway. Regardless, I only recommend products or services I use personally and/or believe will be a good fit for my readers. The views and opinions expressed on this blog are purely my own. Results may vary. No compensation was received. I like the book Inkheart. My daughter and I love the book "I love you through and through"
We are HUGE MO WILLIAMS fan!! We are loving the piggie & elephant books! We love the Piggie and Elephant books. I would love to win this for my kids! Milly and the Macy's Parade looks like a good book.